The adventures of Tyrion Lannister, Daenerys Targaryen and Jon Snow (among other characters, most of whom are probably dead now) have officially beaten out another HBO series with a lot of sudden deaths: The Sopranos. HBO confirmed that the series now boasts an average gross viewership (across multiple airings of each show) of 18.4 million viewers, edging out Tony and Carmella's 18.2 million average. The show is such a ratings juggernaut that it's sapping a huge number of viewers from the ratings pool on Sunday evenings—and it's not just linear viewership, either. Without advertisements to deliver, HBO has been free to launch an app that now shows its original programs simultaneously with the linear broadcast. This has been great for the network's visibility but not as great for its servers, which crashed earlier this season when record viewer numbers flooded the app to find out who was next up for a beheading. It's also the most pirated show on television, according to peer-to-peer news site TorrentFreak, but as far as Time Warner chief Jeff Bewkes is concerned, that's a great thing. "That's better than an Emmy," he blithely told an analyst who informed him of the stat on an earnings call. 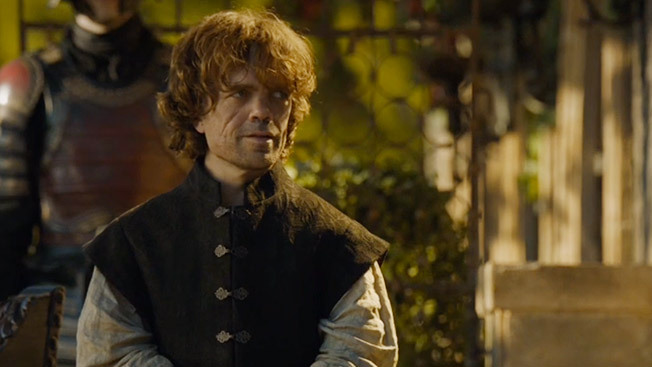 Game of Thrones was recently renewed for not just a fifth season but a sixth as well. This will help the network keep costs down on the effects-heavy fantasy series, in which actors can be pretty certain they're not going to kick the bucket before fantasy author George R.R. Martin kills off their characters in the vast tomes on which the show is based. Speaking of which, there's good news for fans of the show and bad news for the minority of Martinites who want to know what happens above all else: Martin may stretch the series into an eighth book despite having planned only seven (five are published; the sixth is likely to come out next year)—one for each of the Seven Kingdoms in his world. "There are really technically eight kingdoms, all having to do with who has annexed what when Aegon the Conqueror landed in Westeros," his editor, Anne Groell, told fans during a public Q&A. "So, maybe eight books for Seven Kingdoms would be OK." But he'd better write fast: the show's most recent season takes some of its plot points from events in the most recent novel.